One way to compare digital SLR cameras is by megapixels. Buyer beware: it's easy to get caught up in the numbers - a higher number of megapixels means the camera takes better photos right? Tons of megapixels are useful if you intend to make huge prints, or if you want to crop your photos and still make large prints. But if you run out and buy a camera with tons of megapixels that is missing other key features, you might be disappointed with your SLR as time goes on. There are plenty of other features that will help you compare digital SLR cameras besides megapixels. The number of megapixels the camera has is just one of the important factors to consider. Let's say that you're torn between a 12 megapixel camera and a 14 megapixel camera. The 12 megapixel camera has built-in image stabilization which reduces camera vibrations and produces clearer shots, while the 14 megapixel camera does not. You hate using a tripod and love taking photos in low-light conditions. Stick with the 12 megapixel camera - it will serve you better in the long run. While the 14 megapixel camera will let you make larger prints, the stabilization is a more useful feature given the types of photos you love to take. I used to provide a lot of warnings about the large files sizes created by cameras with high megpixel counts. These two issues are less important than they were several years ago, thanks to the diminishing cost of storage. High capacity memory cards can now be acquired for less than $20 USD, and a hard drive with enough space for tens of thousands of images will only run you about $150 USD. If you have a computer that's less than 3 years old, it should be able to display 15 megapixel files without a hitch. Older computers - or computers that weren't designed for image processing - will make reviewing your photos a slow and painful process. Of course, you can easily get around this issue by springing for a modern computer than is up to the job. However, what you can't get around is the fact that it will take a HUGE amount of time to upload your photos to online galleries if you want to share them with others. Unless you get in the habit of using image-editing software to reduce the size of every image, uploading full-size 15 megapixel photos will take hours, even with a high-speed Internet connection. Keep this in mind when you consider any digital SLR with more than 12 megapixels. Now that I've made my big disclaimer, you can go ahead and compare digital SLR cameras by megapixels. 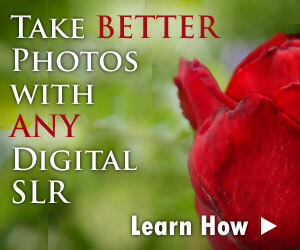 It is worthwhile to see just how many each digital SLR has, and provides some valuable insight. I'll list the prices of the cameras along with the number of megapixels which should make something very clear: cameras with more megapixels are more expensive. This is another reason why you should be 100% sure you need the megapixels before you go out and get an SLR with a lot of them.